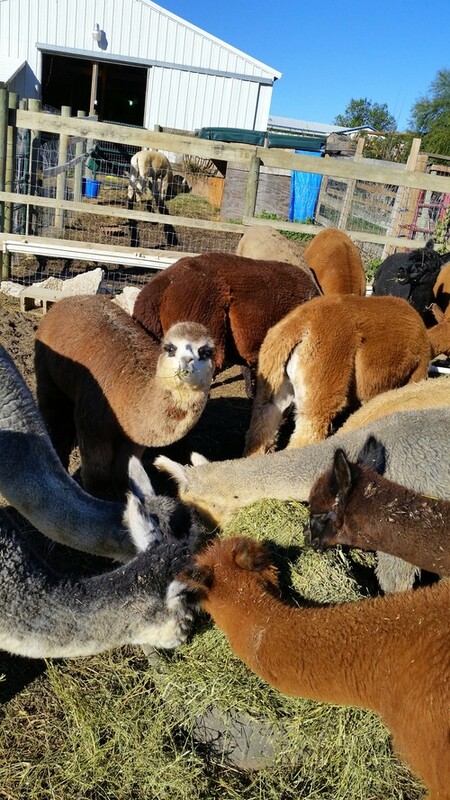 YaYa's Alpaca Farm : Almost a group photo! 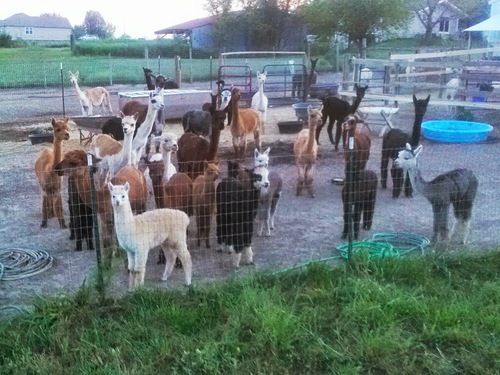 Home YaYa's Alpaca Farm : Almost a group photo! Almost a group picture, not all of them are shown here, but close to it give or take 6 or 7 taken in 2014. 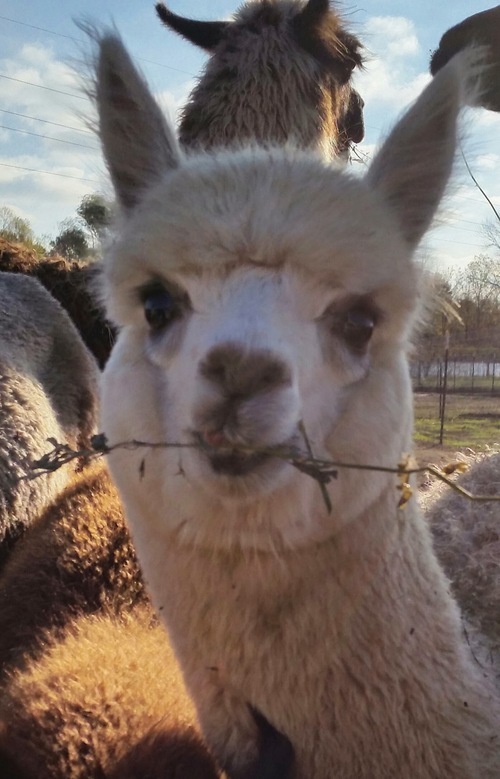 All the alpacas have individual personalities, and each one is special in their own way. There is no way to walk out among them and be in a bad mood. They are great stress reliever's after a long day at work. They were shorn in May, so they are now in the process of growing their fleece back to keep them warm this winter. 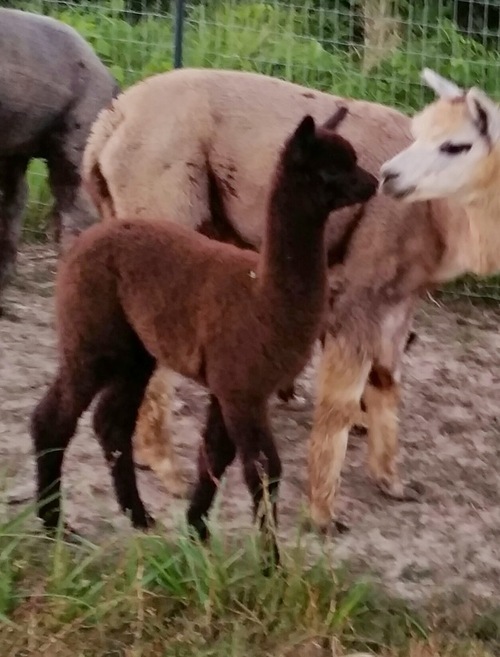 I LOVE MY ALPACAS! Love those babies, and the Mom takes great care of them! 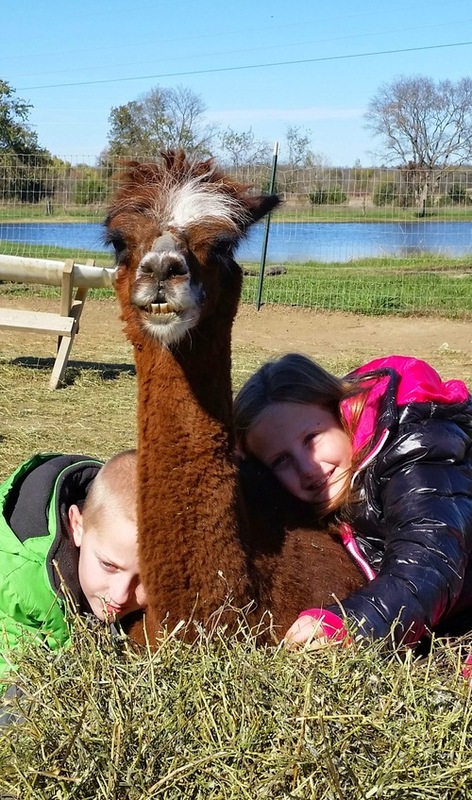 My grandkids lovin on Gieselle the alpaca!